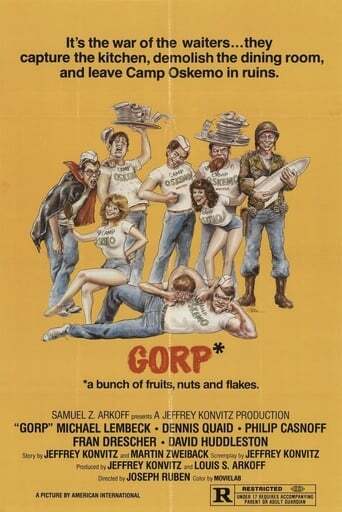 Gorp is a delighfully silly send up of summer camp movies. It is set in a Catskills style resort for wealty Jewish kids. The main source of plot movement is from the following elements: camp waiters vs. camp management; camp guests vs. waiters; waiters vs. waiters. There are many memorable moments from young actors who later became major stars.